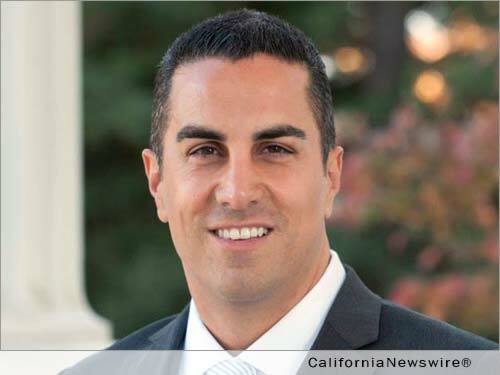 SAN FRANCISCO, Calif. /California Newswire/ — Calif. Assemblyman Mike Gatto (D-Los Angeles) was presented with the James Hansen Courage Award on Thursday from Environmental Progress for his efforts to extensively reform the California Public Utilities Commission after several scandals plagued the commission. “I’m deeply honored to receive the James Hansen Courage Award from Environmental Progress on the hard work to reform the CPUC,” said Gatto. This year Gatto introduced ACA 11, a constitutional amendment to restructure and reform the CPUC. He later introduced AB 2903 to increase safety, accountability, and oversight by creating a centralized, independent Ethics Ombudsperson. The measure would have also transferred several transportation and enforcement responsibilities of the CPUC in order to focus on safety. Environmental Progress created the award “In honor of individuals and organizations who have dedicated great courage in advocating for the public and environmental interest against powerful forces and difficult circumstances.” Hansen has for 30 years overcome censorship and harassment from powerful institutions to help bring greater attention to climate change and its solutions.